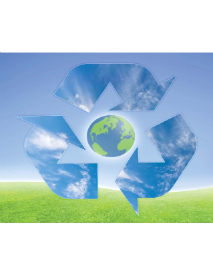 The Village of Downers Grove will offer electronics recycling on Saturday, October 4, 2014, from 9:00 a.m. to 12:00 p.m. The drop-off location is at Village Hall, 801 Burlington Ave., in the employee parking lot at the rear of the building, off Curtiss St. Because the site is staffed by community volunteers, gates will be opened at 9:00 a.m. and closed promptly at noon. As of January 1, 2012, TVs, computers (and laptops), monitors, printers, computer peripherals, VCRs/DVD players, gaming systems, MP3 players and other electronic items are banned from Illinois landfills. Creative Recycling Services, which has provided free electronics recycling to Village residents since 2011 under an agreement with DuPage County, recently terminated its contract with the County, The future of the Village's electronics recycling program is being evaluated as opportunities to assist residents in the proper disposal of electronics are explored. The drop-off site is located near the corner of Curtiss Street and Mackie Place. From Maple Ave: Turn north on Mackie Place. Turn right into the gated area at the intersection of Curtiss Street and Mackie. From the North: Follow Washington Street south to Curtiss Street. Turn left on Curtiss Street and follow Curtiss Street until it reaches a dead end at the gated site.